My son Joseph walked into the room while I was putting together the material for this chapter. When he walked in I was having a difficult time coming up with a good illustration for what “living in thanksgiving” means in the concrete and I wasn’t thankful that he was bothering me. Then it struck me that the point of living in thanksgiving is simply that what I might otherwise perceive as an interruption becomes an intervention, once I adore God above all things. when he had been told to do something, I think he thought that “thank you”meant “okay.”Yet this is exactly what living in thanksgiving is, saying “thank you” to whatever God presents to us in the daily events of our lives. Living in thanksgiving literally means always having gratitude on your lips. The late great Orthodox liturgist Alexander Schmemann felt that the meaning of “thanksgiving”— the literal translation of the Greek word Eucharist — had been lost on modern people. We tend to limit giving thanks to only those things that we receive that we perceive as good.Yet Schmemann argues that for the early church “giving thanks” was something the Christian did because the Kingdom of God had been restored in Jesus Christ. Because of what Christ has done for us we now have a vantage point in life that those who do not know Christ do not have.The liturgy is a mystery of light, and we are on the mountaintop of the Transfiguration and know that Jesus rises from the dead — that he is victorious over our enemies. Therefore, as St. Paul tells the Thessalonians, we can “Give thanks in all circumstances; for this is the will of God in Christ Jesus for you” (1 Thessalonians 5:18). Practice giving thanks to God at all times. Make it a habit to step back when you judge something negatively and to ask God to help you to see it in his will. to restoring an awe of the precious gift of the Eucharist. A Franciscan friend recently told me that when preaching about the Eucharist to young people, he begins by telling them to “Be amazed,” paraphrasing the Holy Father’s injunction. In 1989 something happened to me that I still think a lot about. I had come into our parish church in order to obtain the Blessed Sacrament to bring to the sick in the local hospital. As I approached the sanctuary of the church, I knelt down to spend a few minutes of prayer before setting out. It was then that something compelled me to prostrate myself on that spot on the carpeted floor. This was something I had seldom done before. So there I knelt with my hands and head pressed to the floor. I felt something rough pressing into my forehead. Raising my head from the floor and feeling my forehead,I found pieces of the Eucharist (this parish used homemade unleavened bread at their Sunday Masses, a type of bread that crumbled quite easily). Feeling around the floor, I found more pieces of the Eucharist there. I picked them up and placed them into the pyx that I was carrying with me and took them to the pastor of the parish. The pastor immediately put a stop to the parish using the homemade bread until they could find a way to keep this “abuse” of the Blessed Sacrament from occurring. This incident is noteworthy to me because of the “impulse” that came over me to adore those unseen pieces of the Blessed Sacrament on the floor. to Jesus in John 9:38, and the disciples do it to Jesus in Matthew 28:9. Those tempted to adore God’s works, however, are condemned in Scripture. When John falls down to worship an angel in the Book of Revelation, the angel scolds him, “You must not do that! I am a fellow servant with you and your brethren who hold the testimony of Jesus. Worship God” (Revelation 19:10). Likewise, when Cornelius bows down to worship Peter, he is told by the apostle, “Stand up; I too am a man” (Acts 10:26), and when Paul and Barnabas are the recipients of unwanted worship they tear their garments and beg the people to recognize that God alone is to be worshipped (see Acts 14). The point is that God alone is to be adored. If you want to get the most out of the Eucharist you need to worship the Lord! The first three commandments given to Moses emphasized the necessity of worshiping God alone. 1. I am the Lord your God: you shall not have strange Godsbefore me. In Jesus’s time the Sadducees and the Pharisees held rival ideologies of how best to be a worshipper of God.Yet when God showed up in their midst in the person of Jesus,neither group could accept him — Jesus didn’t fit their image of God. teaches on some issues but reject what he says on others based not on whether it matches the truth of the gospels but rather on whether it matches their ideology or what they wish God was like. When it comes to the worship of God, we must insure that it is God that we adore and not our own idea of who God is or should be. Jesus is our savior. If we are looking for a priest, a parish community, the perfect worship space, or excellent music — though all of these are good things — we risk making an idol out of these things and missing God, who is omnipresent. The effectiveness of the Eucharistic liturgy depends upon God, not us. Reverencing Jesus — no matter how bad the preaching, music, church building, or anything else that might be our personal pet peeve — puts our focus where it belongs. Those who tried to worship the apostles were scolded that this was not where their focus should be, but rather on God. Ministers both clerical and lay need to remember this: none of us is the savior; only Jesus holds that title. When Jesus came to visit the two sisters of Lazarus, the sister named Mary sat at Jesus’s feet and listened to him while the other sister, Martha, feverously worked in the kitchen to entertain their houseguest. Finally Martha came to Jesus and complained about the fact that Mary wasn’t helping her. Wandering minds, worriers, and a host of others don’t like what Jesus told Martha: “Martha, Martha, you are anxious and troubled about many things; one thing is needful.Mary has chosen the good portion, which shall not be taken away from her” (Luke 10:41–42). When we come to the Eucharist, are we adoring God, or worshipping something else? We give up anything that we think is more important than God. practice: God Alone. What really is necessary? God. What truly is worth worrying about? Our relationship with God. If you want to get the most out of the Eucharist, adore God! Worship the One who can save you from whatever life may bring, even death! “All things”includes me and everyone else on the earth,along with everything else that I can perceive. God is the maker of all that is, and as such is the most important Being that exists. My very existence depends upon God. It follows then,and this is from the modern Catechism of the Catholic Church,that “to adore God is to acknowledge,in respect and absolute submission, the ‘nothingness of the creature’ who would not exist but for God.To adore God is to praise and exalt him and to humble oneself” (CCC 2097). One of the most frequent complaints that people who genuinely want to get more out of the Eucharist raise is that they find that their mind wanders at Mass. The cause of their distraction may be as simple a question as “Did I turn off the car lights?” or as weighty a concern as “I wonder how I’m going to pay the mortgage or rent this month?” It is understandable, given the hectic pace of life, that when we try to quiet ourselves in the presence of God we often find that our minds are cluttered with many distracting thoughts. prey that the evil spirits and bad thoughts may not seize upon that which our mind hopes it is offering up to God to a good end. 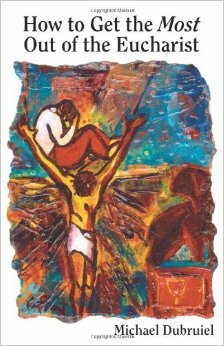 • Think of Jesus washing the feet of his disciples. 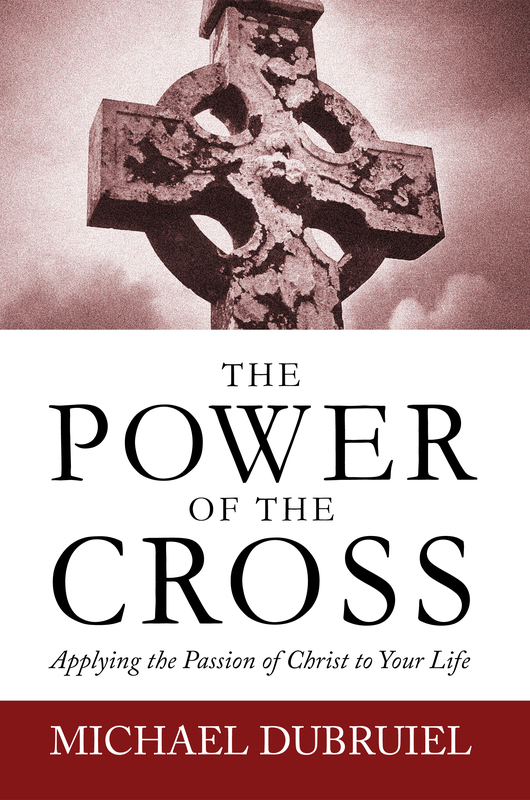 • Think of Jesus telling his followers to take up their crossand follow him. • Think of Jesus saying that he did not come to be servedbut to serve. Keeping your focus on Christ will prevent the devil in his attempts to distract you from the purpose of the Eucharist. announcement that God would become incarnate within her. When we come to the Eucharist, God desires to continue the incarnation within us, and Mary teaches us how we should approach so great a gift. Mary’s reaction to the angel’s message gives a supreme example of the sacrifice we can bring to every celebration of the Eucharist. When confronted with anything that does not go according to our plans,we need to open ourselves up to what God might be asking of us. When Joshua realized that he was being confronted by a messenger of God, someone who at first he was not sure was a friend, he asked, “What does my Lord bid his servant” (Joshua 5:14)? When we have the right stance toward God in our worship this is the question we will ask when confronted by anything that disturbs us: “What does my Lord bid his servant”? Empowered by Christ, we should seek to serve God and anyone God places in our path throughout the day. “How may I serve you?” should be the question ever on our lips, whether at home, at work, or in recreation. We can find concrete ways to serve Christ in the many guises in which he comes to us in the poor and the weak.